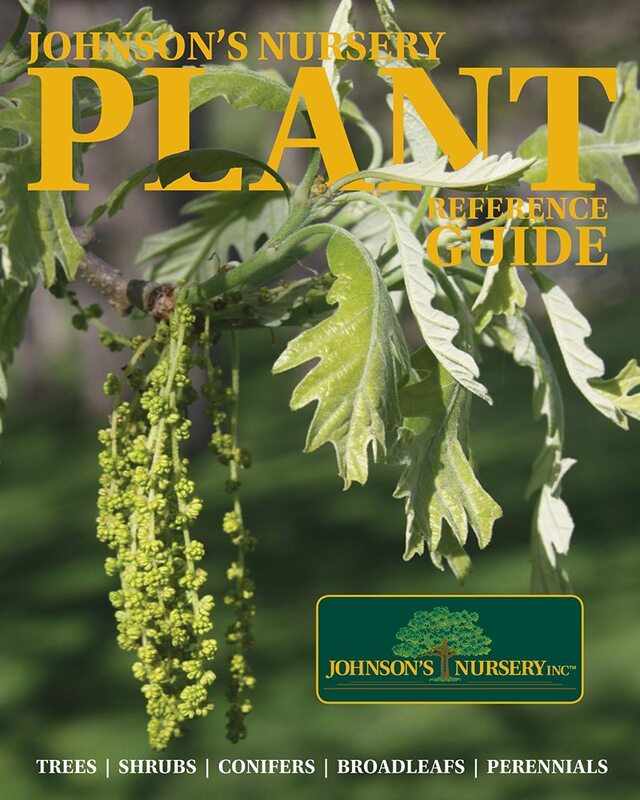 Johnson's Nursery grows a variety of container trees, adding to the diversity of our growing operations and range of plants available to our wholesale clients. We appreciate the opportunity to serve and provide you with quality nursery stock. Contact your wholesale salesperson for availability and sizes, or view the Yard Availability accessible from Wholesale Sales. 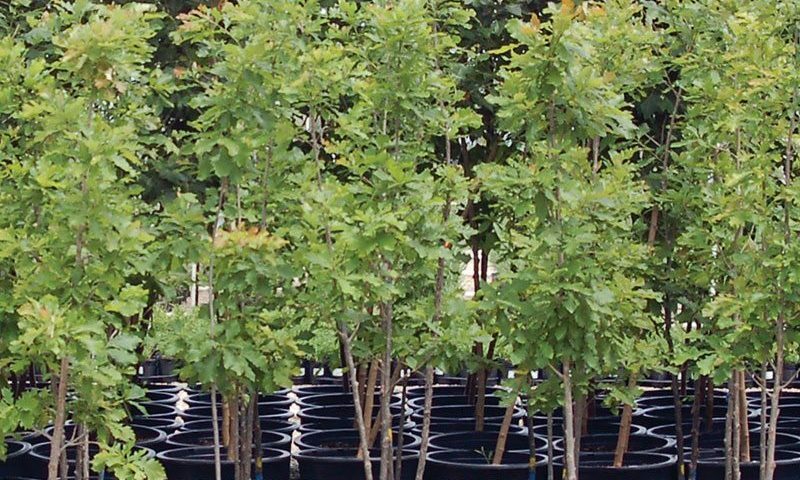 Growing trees in containers increases the availability for many hard-to-find species and relaxes the demand for balled & burlapped materials, allowing them to grow up to larger sizes. Container growing also allows many trees to be available outside of our field grown dig times. Container grown tree are salable in a variety of sizes. Please contact your salesperson for availability and sizes, or consult the Yard Availability. 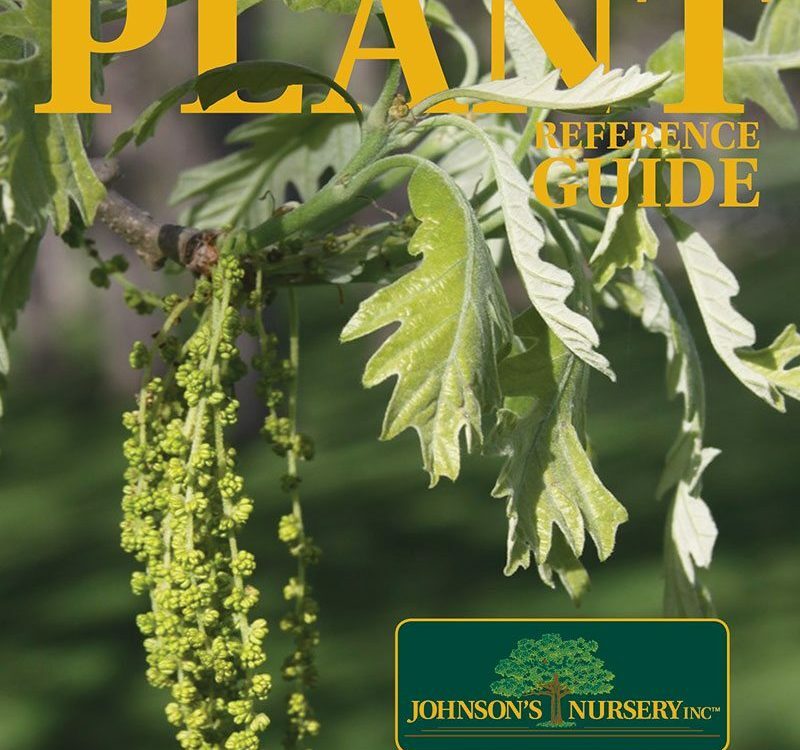 Johnson's Nursery grows many varieties of popular shade trees from common varieties like 'Autumn Radiance' Maple to more specialty or unique plants like our locally propagated Oaks and Musclewood. #10 & #25 Containers might be the perfect size for you - especially working in tight areas - or with small crews. Perfect for Municipalities or smaller urban situations. Container grown trees are also perfect for planting any time of year, except when the ground is frozen. RootMaker® Containers are designed to create fibrous, non-circling root systems to equip plants for transplanting success. RootMaker® containers bolsters Johnson's Nursery's commitment to plant health; another way we're able to bring Nature's Best to You. 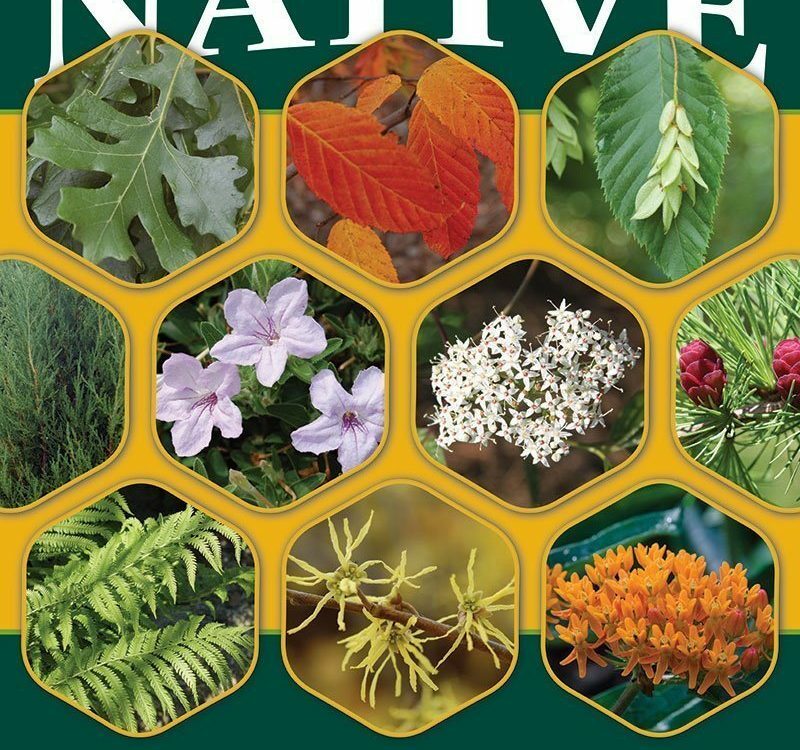 Many of our locally produced native trees are available in RootMaker® sizes. Comparing the root zone of a container grown tree and a field grown tree of the same species. 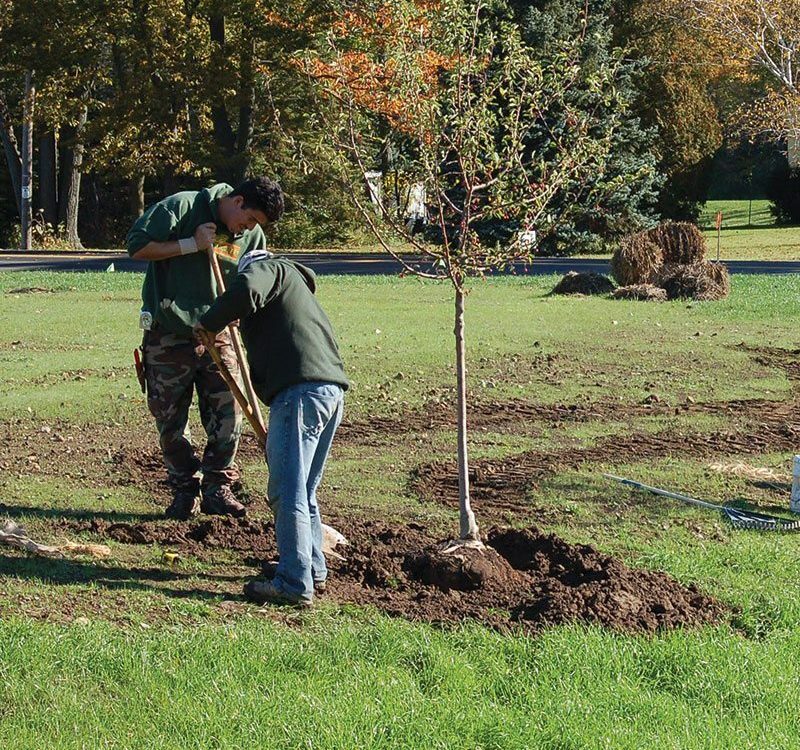 There are several considerations when choosing which type of tree to plant, either a container-grown or field-grown. Prior to the advent of container grown trees, B&B was the only option and still continues to be very popular. Not that many years ago the availability of container-grown trees was very limited. That is no longer true. The popularity of this form has grown for several reasons. Neither form is necessarily better than the other, just different. Then entire root system is left intact. If given proper growing conditions, the tree will never skip a beat - reducing overall plant shock. 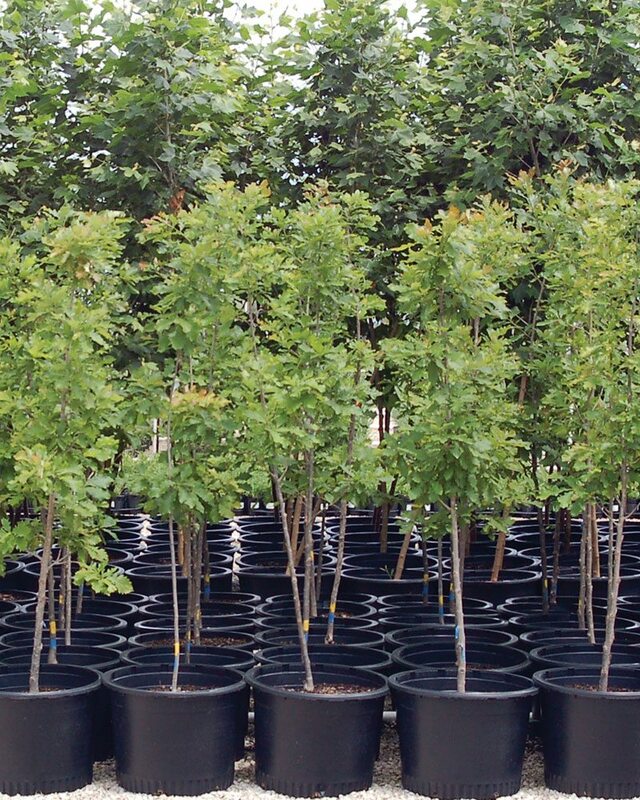 Johnson's Nursery is better able to respond to market demand and customer trends due to the quicker turnaround times with container grown trees. 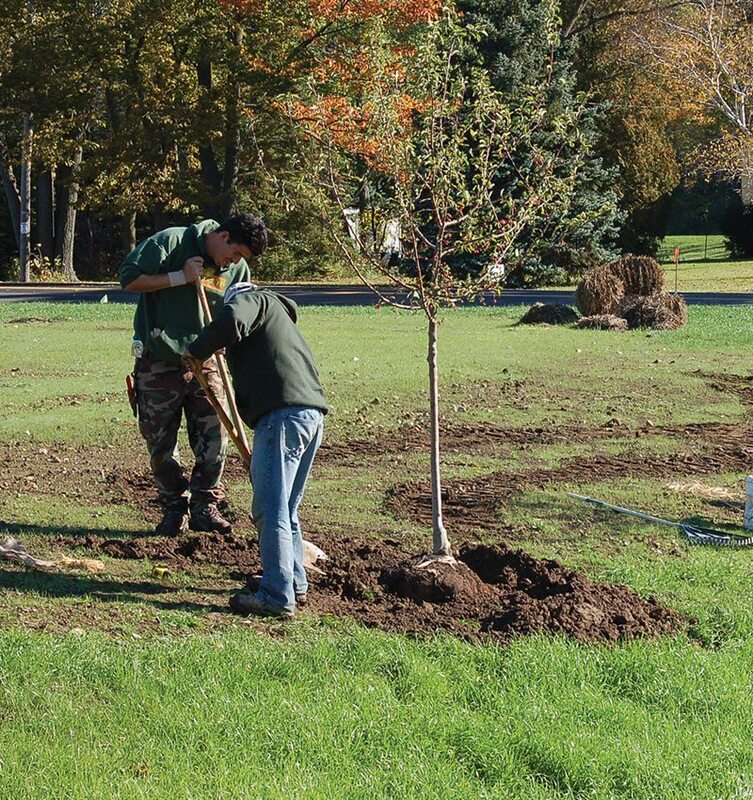 Generally speaking, field-grown trees are primarily harvested during the dormant season. Container grown trees can be shipped nearly year round. Plants are significantly lighter than field-grown material, and easier to handle for installation. 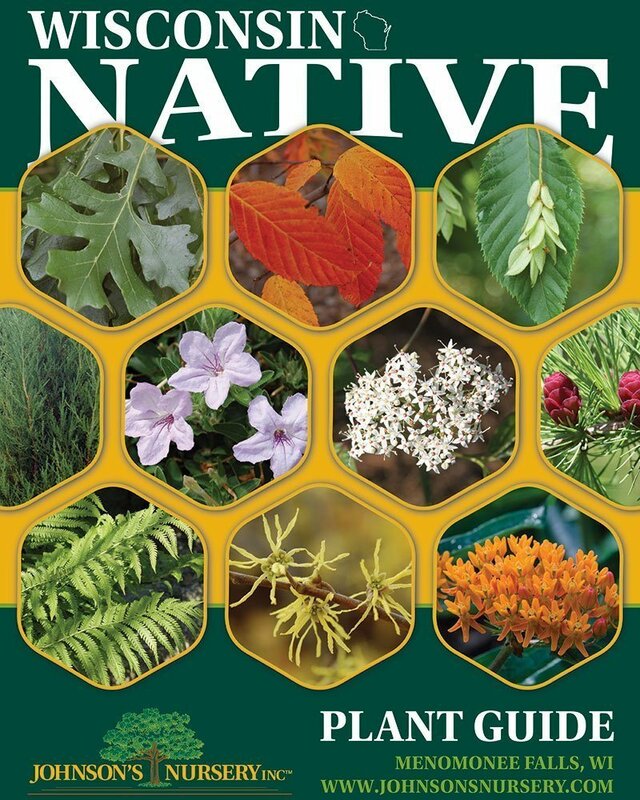 While the above is not an all-inclusive list to be considered when making the decision of which type of tree to plant, we hope it has given you enough information to help make an informed decision. Size comparison of container grown trees and field grown trees. Shipping or delivery of container grown trees is available.